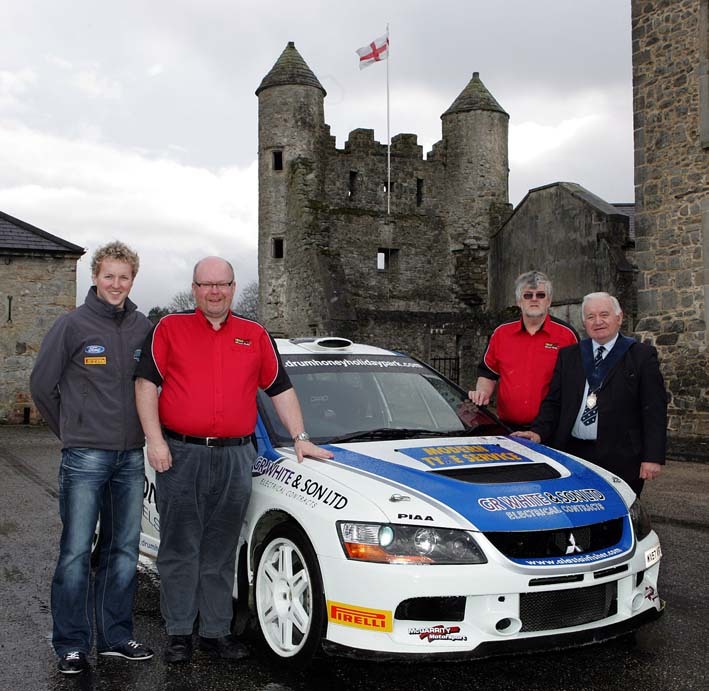 April 2013 – RallyNews – Patterson Pacenotes Extra's….. This is, once more, one of our short but sweet little blogs. The Swansea Bay Rally was once, one of the great national rally’s, and in recent year’s it has fallen into decline. Bad weather, a reduction in entries, the collapse of ANCRO and a whole load of other factors have led to the Swansea Bay organisers having to reflect on their past but accepting the future. So they have rejigged everything and have delivered a really good club/national B event. The Walters Arena project is right on their doorstep, and with some skilful management, the experienced heads have put together a rally with a really great format, good stages, and a great compact feel to you the rally. It should be a great little rally. We have put together a little video to check out before. This is just a very brief post to confirm that the Patterson Pacenotes Digital Downloads service is now live on-line in test/beta format. Due to the increasing overseas demand for portable digital formats for the Patterson Pacenotes DVD, it was a logical step forward to offer the same service to all our valued clients. Over the last few months we have developed and tested various formats and interfaces and have provisionally came to a starting format. It is very much work in progress, and it will be fine tuned as time moves on. To start with, we will offer MP4 versions of our DVD. In our opinion, it is the most versatile format. It is Apple native and is also universally used within the PC and Android business. It is unlikely that this format will change as it primarily iPad/iPhone based, and that is the most difficult to cater for. Patterson Pacenotes themselves (ie The Printed Notes) in digital format are not yet available for direct online purchase. While we have the ability to do it, we will continue to supply in a bespoke environment only. In other words, you will have to contact us directly to make any arrangements. In the future, it will become available, but with some restrictions. Please feel free to leave a comment or suggestion. We know that most people looking at this are already Patterson Pacenote customers, and we would love your feedback and thoughts. You only have to register to give us your thoughts, or email us directly. In the late nineties the supply of safety notes was expanding in the UK and Ireland, and in particular within the BRC and ANCRO Championships. At Patterson Pacenotes we were lucky enough to be at the forefront in this era and we have always tried to provide the best possible service and product. One of the things we felt at the time was that if we installed an on-board camera system, it would enable us to fine check the notes more throughly before they were despatched to the competitor. It was early days in both video and camera technology and a far cry from the sophisticated camera systems available today. The point is that the original idea was purely for our own purposes. An extra check for the notes. We soon realised that in those days there was more to it than we thought. After a few experiments we discovered better ways of doing things and gradually got a better technical understanding of what we required. At the same time, some of the top BRC drivers discovered that we had filmed our own recce. It didn’t take long before the question was asked if they could get a copy. Of course back then,( once the formalities were sorted), everything was recorded on VHS video tape. We had very crude editing facilities back then, and it was all done on a bank of VCR’s that would record from a master tape in real-time. No high-speed stuff, but it worked, and it was effective. And so the pattern was set for the modern take of the notes and DVD concept. The point of this little blog is to try and explain why we use broadcast standard camera’s and lens as opposed to the new wide angled extreme sports derived camera’s that have flooded the market in recent year’s. It is a very technical environment and hopefully we can make it a little easier to understand. We have tried many different camera setup’s in the past, almost to the point of frustration. Not long ago we had a three camera system that consisted of one broadcast camera and two wide angled camera’s. These were controlled together along with a VGA output from our Coralba trip and once combined, it gave a very good view of the road ahead, plus a wider angle of the side of the road. That was found to give too much information to the crew and after consultation with the MSA, it was no longer permitted to be used, in particular on safety notes events in the UK. What we learned over time was, that a wide angled lens was just no good at giving you a picture of the road ahead. By default, a wide-angle picture has to be squeezed to fit on any type of screen to view it. A Go-Pro for instance has an angle of almost 180 degrees. When you view that on a TV or a monitor, it basically straightens out the view ahead. On the one hand you get a good picture, and in an on-board situation, it looks really fast. The big problem is that there are no corners to speak off as they have all been squeezed straight. In short, you can’t get any useful information from a wide angled camera if you want to check your notes before a rally. All you get is a straight road with a few ditches. So stick with a Go-Pro or something similar for your high-speed on-board from the event its self, but pre-event, get a good standard lens camera and let it read the road. Below is a short example of just how misleading a wide angled camera be. The top image is the wide angle camera with the more conventional camera is at the bottom. Remember, to finish first on a rally, you first have to finish, and using a professionally prepared pre-event DVD with proper camera angles might just help to achieve this goal. Occasionally we will provide our own Google Earth Data Traces from our own recce while making the Events Patterson Route Notes.